» Dr. Sanjay Kumar of Multani Mal Modi College awarded Raman Fellowship for Post-Doctoral Research for Indian Scholars in U.S.
Dr. Sanjay Kumar of Multani Mal Modi College awarded Raman Fellowship for Post-Doctoral Research for Indian Scholars in U.S.
Dr. Sanjay Kumar, Assistant Professor, Multani Mal Modi College has been conferred with Raman Post-Doctoral Fellowship 2014-15 to carry out research in the USA by the University Grants Commission, New Delhi. 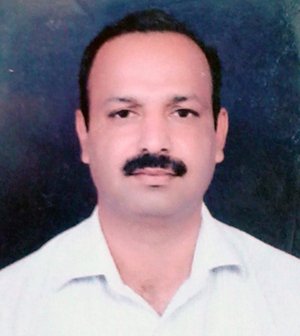 The fellowship has been awarded on the basis of research work done by Dr. Sanjay Kumar in the subject of Chemistry. On this occasion, Dr. Khushvinder Kumar congratulated Dr. Sanjay Kumar and said that Modi College has always been encouraging research activities and will keep the momentum of research in future also. The award of this scholarship will encourage the students and the young faculty of the college to get involved and perform in the field of research work.